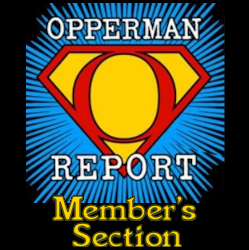 Welcome to The Opperman Report Member's Area. With fresh content added every week, here you can listen to exclusive shows, check out hot topic documents and more extra content you won't find anywhere else. Please give the show a moment to load after clicking play - NEW LAYOUT COMING SOON. FOR A FURTHER IN-DEPTH TOUR OF JEFFREY EPSTEIN'S PLEASURE DOME CLICK HERE!